We cater to your needs, whatever they may be; no expectation is too high, and we source operators who go where you need them to, capturing your vision. There are various services that they specialize in. Local operators provide aerial services that businesses may not even know they need. Once you’re exposed to the quality of our partner's aerial videography and photography sessions, you will begin to expect this quality in everything that pertains to your business. We also contract the best equipment to match your surveying needs via helicopter, which increases accuracy and makes the process more efficient. Ultimately, it’s important to use services you can depend on, and these specialized services will serve you well. There are many sites that span the state of New Mexico, and these sites can be used to further your business image. From cities like Albuquerque and Santa Fe to rural areas such as Glenwood, there’s a lot to see; many sites across New Mexico, such as the famous hot springs, could create eye-catching images that showcase the mission and purpose of your business. If you want striking shots and videos, the popular White Sands National Monument could be the ticket to that perfect opportunity. As you glaze over the endless beauty that is New Mexico, there are many sites that you can capture during one trip -- with the ease that only helicopters can provide. Many businesses, spanning virtually every industry, would benefit from the aerial photography services that we reserve. Those in the real estate business -- particularly those specializing in commercial real estate -- would benefit from the many angles that they wouldn’t be able to capture from even a skyscraper. Aerial photography could also help with surveys, such as wildlife sampling, due to the advantageous edge obtained by soaring through heights. You can make arrangements to reserve these services in accordance with your schedule. We offer flexibility, as we have work with a large network of operators. FairLifts Aerial Photography New Mexico will assist you in choosing the operator, aircraft, and hardware that perfectly meets your specifications. A helicopter allows for a wide scope of pictures and videos, as they are able to position the camera in a way that represents the property in its best light. They provide dependable service, sending the most qualified pilots, technologically advanced equipment and aircraft, and the best in professional photography. The experience will also calm you, as you are as involved as you wish to be. Industries in New Mexico in need of helicopter support are able to customize the services we provide, ensuring that it matches their needs, and we will work with you to understand what these needs are before we coordinate your service. 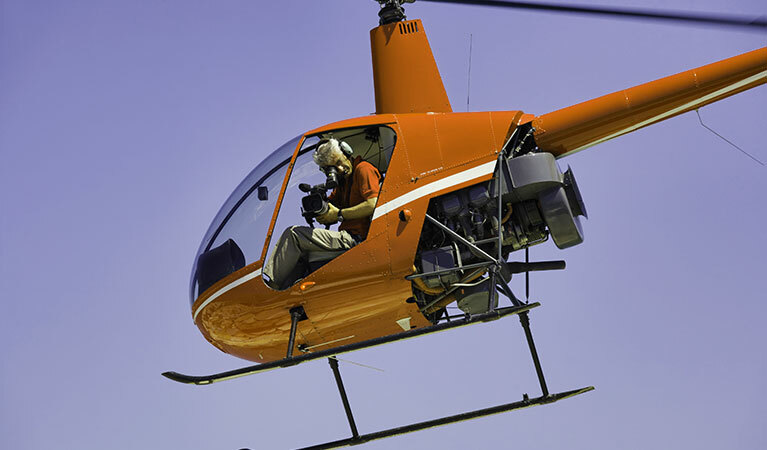 Take your company to new heights by using aircraft and advanced equipment to capture sites across New Mexico. Regardless of industry, this is an investment that promotes innovation. Take the opportunity to use creative vantage points in each shot, finding new ways to promote your own brand. Aerial surveying is, in essence, surveying made easier. In fact, it is popular because of the accuracy and technique that it allows for. Using the proper equipment, a helicopter is positioned to properly assess the land through the detailed, personalized footage that is gathered from various angles during the session. Spying on military targets during covert operations is difficult. The right aircraft makes the difference between a successful and a failed attempt at catching the suspect in the act. Using aerial surveillance services is wise in these situations, as they won’t even notice the helicopter is watching them. It’s important to determine whether certain animal conservation efforts must be made. Certain species might be at risk of extinction at any given time, and aircraft services might be the ideal method to make this determination; the scope of vision is broader and more may be seen in less time. If you’re looking for aerial services across New Mexico, look no further than aerial photography services in New Mexico. We pride ourselves on our excellent customer service. Keep in mind that we are available 24 hours, 7 days a week -- both to answer your questions and to meet your scheduling needs.